What is the ETH/USD pair? The ETH/USD pair is a crypto-fiat currency pair with ETH as a base currency and USD as the counter currency. USD is one of the world’s major currencies, backed by the US government. 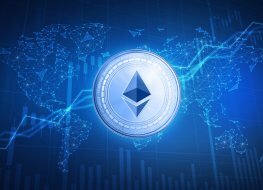 ETH is a ticker for Ether, a cryptocurrency that powers the Ethereum decentralised software platform. Ether is a relatively new cryptocurrency, launched in 2014. It is the second most popular currency in the world after Bitcoin. Up-to-date information on the ETH USD price can be found at Capital.com. Ethereum, based on blockchain technology, is an open-source public crypto network. The network facilitates smart contracts, enables distributed applications (DApps) and the trading of its native cryptocurrency – ether. Ether is described as the ‘crypto-fuel’ used to power the platform. Ethereum has the second largest market cap after Bitcoin (Bitcoin $150 billion, Ethereum $66 billion – May 2018). Unlike Bitcoin, the Ethereum network uses a proof of stake system to verify transactions, as opposed to Bitcoin’s proof of work. Said to be a more diplomatic format, and cost effective, it allows anyone to take part instead of just the crypto geniuses. The primary difference in these two verification systems is the block reward. When using proof of work the miner receives a block reward, but with proof of stake merely the transaction fee is given, and not the block itself. 3 years later, in 2014, the company underwent a crowdsourcing campaign, selling ether (Ethereum cryptocurrency), to raise more than $18million, necessary to launch the company into the public sphere the following year in 2015. Following the American Revolution, in 1972 the newly formed US Congress installed the ‘thaler’ as the official currency, although at a slightly lighter weight – 27.0 g. This was done as a method of standardisation, following the corrupt ‘continental bill’ system. The USD is the world’s foremost reserve currency, held by numerous countries as part of their foreign exchange reserves. It also makes up six out of eight of the world’s Forex pairs. The US dollar is denoted by the symbol $. What influences the ETH/USD pair? News about either of the members of this pair could impact the ETH USD charts. 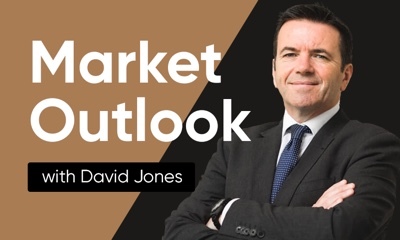 The dollar, whilst well-established, is subject to price changes based on the latest US news, including business, unemployment and political factors. Conversely, the cryptocurrency ether, has been victim of a number of security scandals and criticisms to the network, with tales of crypto theft abounding. However, it is still proving to be the second most popular crypto network, with Bitcoin taking first place. Cryptocurrency regulations, a worldwide hot topic, could be set to take a major role in the success and value of the network. Whilst stronger restrictions will create challenges, alternatively they also offer a level of legitimacy which could prove a positive for investors. If you’re looking to speculate on ETH/USD, best keep an eye on financial reports by the Federal Reserve (Fed), this includes monetary policy, interest rates and more. Where can I trade ETH/USD? Follow the latest ETH USD chart in real time with Capital.com. Explore the ETH USD price of shares and start trading on this popular crypto-fiat pair. Why is Ethereum to US Dollar important to traders? Trade Ethereum CFDs, other major cryptocurrencies, indices, forex, shares and commodities through Capital.com’s award-winning platform. No commission. FCA and CySEC regulated. Up to 1:200 leverage (professionals only). Available on web and mobile. AI technology. Trade now.